Do you know what Michigan’s No-Fault Law means? If you or a loved one has been in a motor vehicle accident, it’s crucial that you know your rights. Prior to Oct. 1, 1973, people injured in motor vehicle accidents could sue the driver of the vehicle responsible for their accident for injuries and damages. But, if the injured party might have been responsible, too, for any part of the accident, then he/she could not try to sue the other driver. This resulted in the injured people not receiving compensation right away, which could cause problems if they were off work or couldn’t pay their bills. After Oct. 1, 1973, the No-Fault Insurance Act gave the injured immediate access to medical treatment without having to wait for the at-fault driver’s insurance company to adjust their claim. The Act also required the injured party’s insurance company to cover lost wages for up to three years after the accident. The other major change was that the injured party’s negligence could be considered and factored in when determining how much money they would receive in compensation. For example: A jury awards the injured party $100,000. The injured party’s comparative negligence is set at 25 percent. The compensation award is then reduced by 25 percent ($25,000). The net award would be $75,000, instead of $0 under the former law. So, to recap, the three main changes to Michigan’s No-Fault Law were: immediate payment of medical expenses, wage loss coverage (payment of 85% of injured party’s average gross monthly wages, tax-free for three years) and eliminating contributory negligence as a complete means to recovery. These changes led to Michigan’s No-Fault Act being recognized as one of the best insurance programs for citizens in the country. At Barberi Law, we know all there is to know about insurance companies and how they work. If you or a loved one are ever injured in an accident, don’t just take what the insurance company offers. 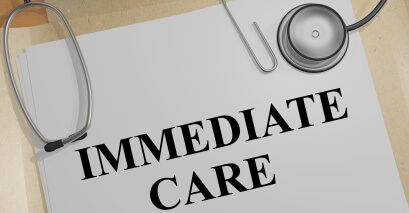 We will make sure you receive the compensation you, or your loved one, deserve!